Francis Ford Coppola, REM, and Abe Vigoda are just a few of the many characters who populate the world of Captive Audience, Dave Reidy's paean to the highs, lows, and everything in-between of being a performer. From the opening story, the award-winning "The Regular," where two lonely music fans bond over a most unusual kind of karaoke, to the final tale, "Dancing Man" about an organ player who gets his big break in the most unexpected way with the band REM, this bittersweet and humorous collection gives voice to those who are driven to perform, no matter the size of the audience. Dave Reidy received his MFA in Creative Writing from the University of Florida. His fiction has appeared in Pindeldyboz, The MacGuffin and in The Frostproof Review. 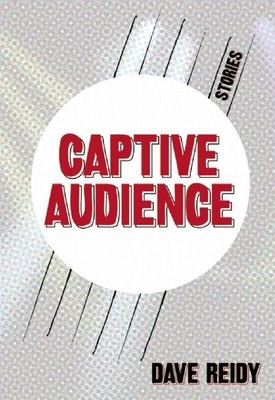 In 2007, Charles D'Ambrosio named the lead story of Captive Audience, entitled "The Regular," the winner of the Emerging Writers Network Short Story Competition.